San Luis Obispo Plein Air is among my upcoming shows, so I need to have ready some paintings of the area for the preview exhibition. Hollister Peak is a well known landmark in San Luis Obispo (try this Google Images search to see lots of photos and paintings), so I revisited this landmark and painted this one, more in the way of Hensche. Of course, having been done from a reference photo isn’t exactly Hensche, but I tried to view the light projected from the image (on my monitor), and interpret the scene that way. Enough talk: simply enjoy, and as always, let me know what you think. I love to hear from you. 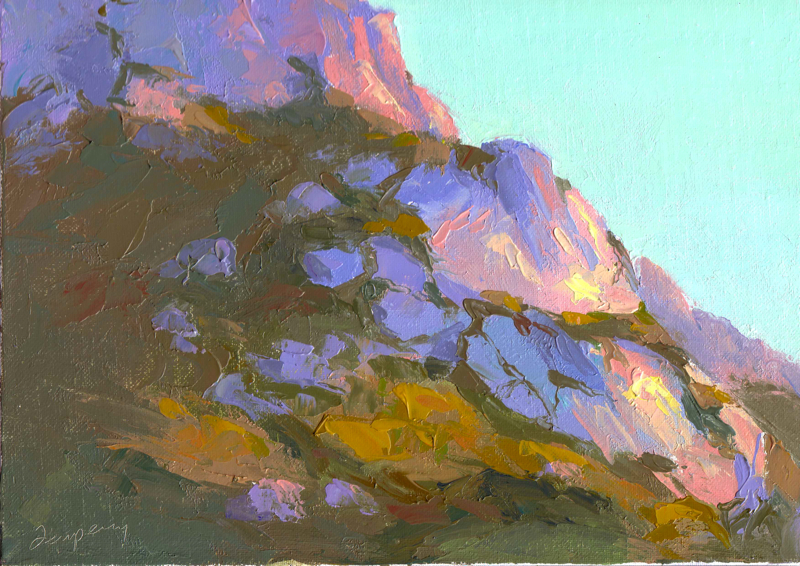 Hollister Peak (an alternative view), Oil on Linen, 9x12"